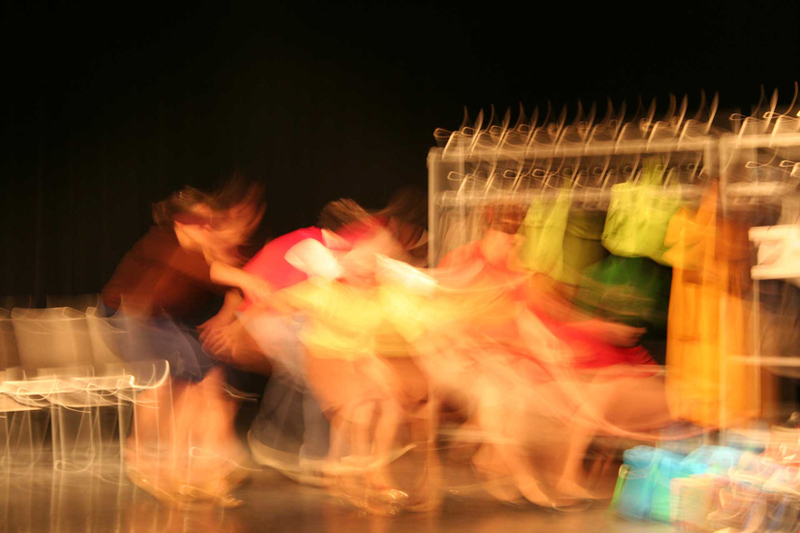 the stage/audience division and the notion of rules. 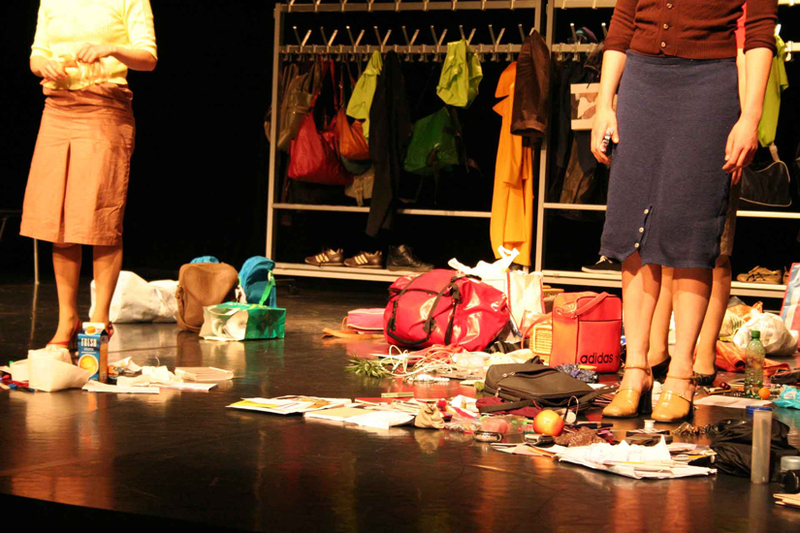 Hijacked audience bags on stage, objects, songs and stories - personal histories, show and intimate moments. 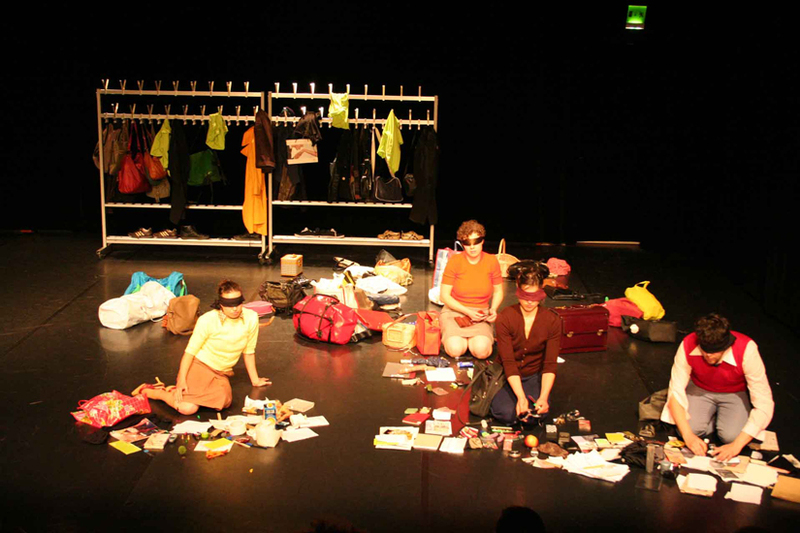 Concept, Space, Costumes, Performance: Waltraud Brauner, Laia Fabre, Thomas Kasebacher and Nathalie Koger.